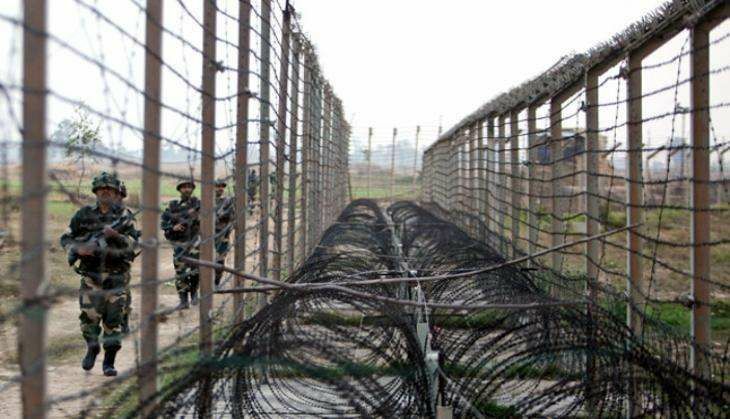 Unprovoked ceasefire violation continues in Naushera sector of Rajouri district by Pakistani troops, though it has stopped in Krishna Ghati sector of Poonch district at 4:30 pm today. Pakistani forces again resorted to heavy shelling and firing along the Line of Control in Poonch district today. As per report, Pakistani troops started unprovoked firing in Krishna Ghati sector targeting border posts and civilian areas around 8:30 am this morning. Pakistani forces shelled Indian areas using heavy mortars, automatic and small arms. Indian Army guarding the borderline retaliated and gave a befitting reply to Pakistani shelling. The exchange of fire is still continuing, but no report of any fresh causality or injury to Indian side so far. Last night, Pakistani forces had resorted to shelling and firing in Balakote and Manjakote sectors in Poonch and Rajouri districts that left a BSF jawan martyred and seven security personnel injured.